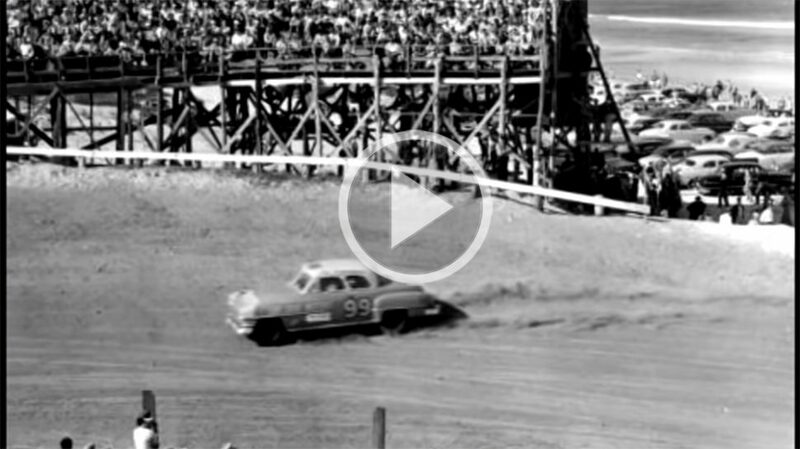 If we’re muscle car freaks, there’s a good chance we’re also stock car racing fans. If the “race on Sunday, sell on Monday” approach to muscle cars wasn’t influenced by drag racing, it was definitely impacted by NASCAR races. And we all know how weird and amazing the relationships between automakers and the racing series were – the showroom cars that came out of those love affairs-slash-mutual-hatred are commanding numbers nobody ever could’ve conceived of at Scottsdale, right? So, take a few minutes, listen to the theories, passions and opinions of this guy who goes by the handle, “KamikazeGames:” he puts forth some interesting ideas and we’d all be lying to ourselves (you, included, dear Hemmings Nation) if we didn’t admit we’ve felt many of the same feels over the last 15 years. We propose an official Vintage class at NASCAR: LeMons-style rulebook, limits on spends, pre-1990 cars and formal brand sponsorships are outlawed. Get us back into stock car muscle. Shoot, we’ve said it before: drive a vintage stock car to work every day. We’d do it, too. Anyone else in on this with us? Roadtrip to NASCAR headquarters? Could we get a meeting with Brian France?